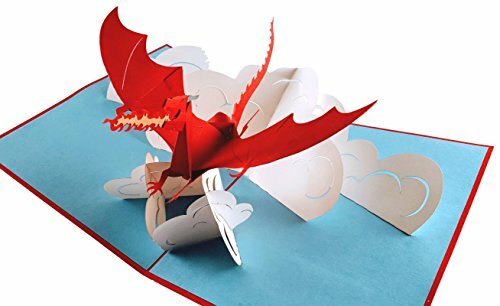 Inside this 3D pop up card, lives a fire-breathing dragon, who is ready for anything. Vibrant colors, detailed scales, a fire-breathing creature, with an impressive stature you must be seen to be believed. When giving an iGifts And Cards product you are giving someone so much more than a card, you are giving them a WOW experience! As your loved one opens this uniquely cute, detailed laser cut, pop up card they will smile from their heart as they say, "WOW!" iGifts And Cards is perfect for Sharing a Birthday, Celebrating a Newborn Baby, Sending a Congratulations, Spreading Holiday Joy or Just Because! Our goal is to make it easier for you to connect and celebrate by offering you the perfect gift solution.